If you have decided it’s time to get rid of your old furniture, then there are a few BIG things to think about. From whether you can lift the heavy pieces by yourself and how to protect your flooring in the process to how you will get a truck and where you will transport the old furniture, there are numerous aspects associated with disposing off old furniture. While it may seem like a simple task at first, furniture removal and disposal is quite challenging. Not only do you need to disassemble and carry about pieces of your old sofa or the armoire, but you will also have to figure out what you’re going to do with them. In case you didn’t know, numerous cities across the United States don’t allow residents to dispose certain furniture by leaving them on the curb. Optimum Moving is here to save you the headache and frustration of trying to get rid of worn and torn furniture you no longer want. We help you dispose of all types of furniture! Whether you’re trying to get rid of a dozen office chairs or want to renovate your entire home and add new furniture, you can trust our team to do all the dismantling, lifting and loading. 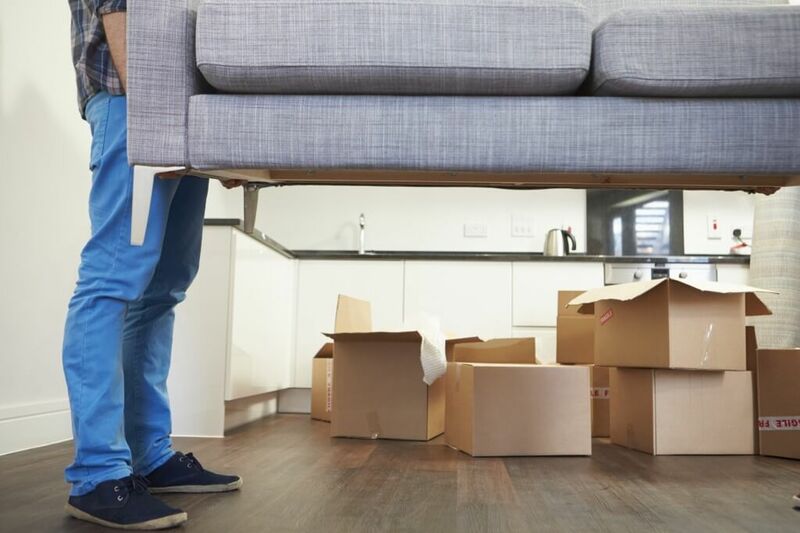 The entire process is extremely simple and straightforward: you make an appointment with us and our team will contact you to see when you’re available so we can discuss the details of the furniture removal task. Because we value our customers’ time and schedules, we make a habit out of calling them 15 minutes before the disposal team arrives on site. Once our crew gets there, you will receive a free estimate on how much the removal will costs. The price that is commonly established based on how much room your items occupy in our trucks. We take pride in the fact that we always offer our customers an upfront, all-inclusive price. Once these details are settled, you only have to say the word and our team will haul your furniture away from your location. We also trained our crews to finish the task by cleaning up the area, so if you don’t have time for this, don’t worry – we’ll take care of everything. The furniture disposal task is complete once our team makes sure your old items end up in the right place. Some customers prefer to give their furniture away to charity, especially if the pieces are in a good condition. Others will want to take the furniture to a recycling facility. Regardless of how you want things handled, our professional team will perform the task with care and responsibility.